Our council serves the parish of Saint Francis Xavier. We meet on the second Tuesday of every month in the Casa (little house East of the Rectory) at 7:00 pm. If you would like to join us or see what we are about, please stop by one of our meetings and check it out. We hope to see you there! If you would like to be added to this schedule please email V.J. Simonelli (vjs198@yahoo.com). If you cannot make your night please contact someone to replace you. Thanks to the efforts of Father Michael J. McGivney, assistant pastor of St. Mary’s Church in New Haven and some of his parishioners, the Connecticut state legislature on March 29, 1882 , officially chartered the Knights of Columbus as a fraternal benefit society. The Order is still true to its founding principles of charity, unity and fraternity. 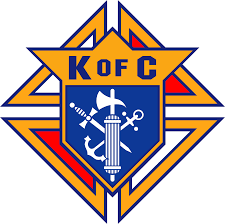 The Knights of Columbus has grown from several members in one council to more than 14,000 councils and 1.8 million members throughout the United States , Canada , the Philippines , Mexico , Poland , the Dominican Republic , Puerto Rico , Panama , the Bahamas , the Virgin Islands , Cuba , Guatemala , Guam and Saipan . Why Join the Knights of Columbus ? Imagine being part of an organization that fill your heart and your mind with the joy of giving to others and the feeling that comes with making a difference. Knights are Catholic men, 18 years of age and older, who are committed to making their community a better place, while supporting their Church. Being a Knight is more than camaraderie; it is being involved with your community; it is supporting your local Catholic Church, while enhancing your own faith; it is about protecting and enhancing your family life.